Compared to wet chemical approaches, dry blanket Si etching exhibits better control over the etch rate and uniformity. Fan-Out wafer-level packaging (FOWLP) technology provides higher integration levels and a greater number of external contacts. PVD solutions to deposit Under Bump Metallization (UBM) layers to enable bump metals to adhere to die electrical pad contacts, or to act as seeds for Cu plated Re-Distribution Layers (RDL). Stronger die - more die. High yield plasma dicing solutions based on industry leading Deep Reactive Ion Etch (DRIE) technology for dice-before-grind and dice-after-grind. High productivity plasma etch processes with unique end-point detection used for post-TSV steps, to prepare the die for connection to other parts of the device. Piezoelectric properties of AlN to convert mechanical strain into an electric signal, or vice versa is being exploited in devices such as RF filters and a growing number of MEMS. Low temp Plasma Enhanced Chemical Vapor Deposition (PECVD) solutions for depositing uniform and stable SiN and SiO films for MEMS devices at temperatures <200°C. MEMS microphones have been growing rapidly in recent years for a variety of applications, primarily mobile devices, but also other products such as hearing aids, Bluetooth headsets, and “digital assistants”. Molecular Vapor Deposition (MVD®) is a unique process technology that deposits ultra-thin films by vapor deposition at low temperatures on a broad spectrum of substrates. Wafer level packaging (WLP) prior to wafer dicing of MEMS devices can provide protection from particles and dicing slurry, while significantly reducing form factor and reducing the overall die cost. HF etching is a dry vapour (plasma-less) etch process to remove sacrificial oxide layers, primarily used to release silicon MEMS structures. XeF2 vapour etching is a highly selective isotropic etch for removing sacrificial layers of Si, Mo or Ge to release MEMS miccrostructures. SiC is a wide bandgap material used in power applications and GaN-on-SiC RF devices. It is very difficult to etch but SPTS' Synapse etch system can provide etch rates 2-4x faster than conventional ICP etching. New applications for VCSELs include proximity sensing for automotives and gesture/face recognition for consumer products and SPTS offers a range of processes for VCSEL manufacturing including ICP etch, PVD, and PECVD. 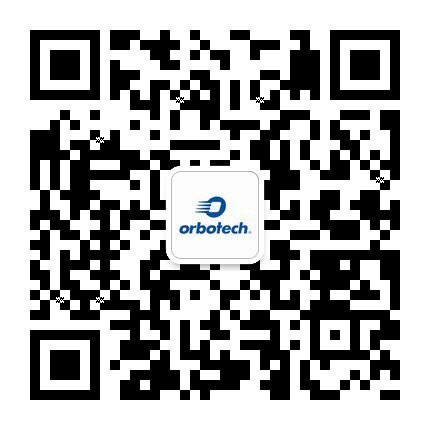 Orbotech's Magna inkjet technology can be used to print 3D structures such as underfill dams onto PCB substrates. Orbotech's Jetext inkjet technology can be used for high contrast, no-contact package marking, with no risk of heat damage that can occur with laser engraving, particularly with increasingly thinner die. Surface transformation to remove the "scallops", created by silicon DRIE during MEMS manufacturing, can be achieved by annealing the Si wafers at high temperature (~1100°C) in a H2 ambient in SPT's RVP furnace.